A statement on the ChemCert website posted on January 31 apologised for the inconvenience, but said the group had been unable to deliver accredited courses since 24 January, 2019. 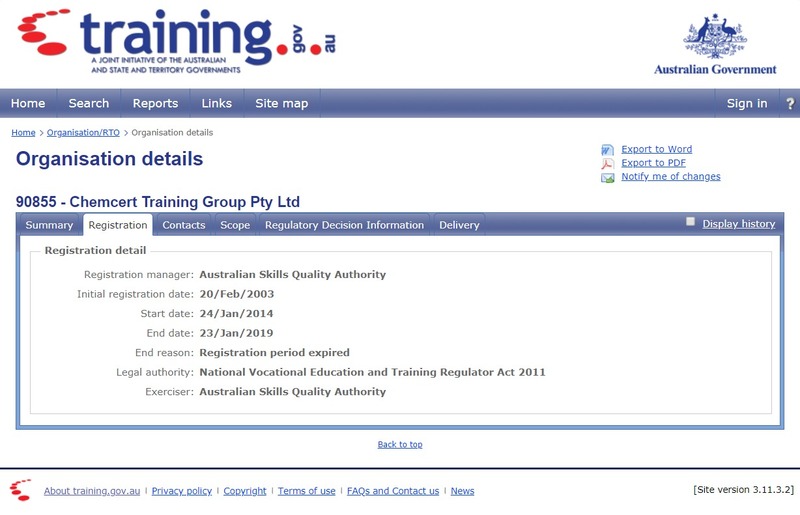 ChemCert chief executive officer Brian Halse said he had “no comment on any level.” But on the Australian Government’s training.gov.au website, the ChemCert Training Group Pty Ltd’s registration period with the registration manager, the Australian Skills Quality Authority, is listed as expired as of 23 January this year. ASQA was contacted yesterday and today, but is yet to respond. 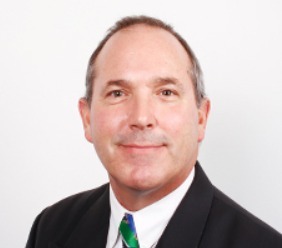 On his LinkedIn page, Mr Halse describes ChemCert as an industry-based, non-profit organisation established in 1999. Although there were other training providers, she said the ChemCert development would affect all sectors of agriculture. This included livestock producers seeking chemical user permits for pest and weed control, grain and cotton producers, and contractors and companies needing certification for best management practice compliance under state legislation. In February last year, Ms O’Brien posted on Twitter she had been trying since November 2017 to get ChemCert to return her calls about ChemCert not issuing certification to clients. A New South Wales wool grower who was completing his ChemCert certificate for the use of pesticides, herbicides and pest baits said ChemCert had offered him a refund or to hold his course work and progression in an online portal while the group’s training status was clarified. ChemCert has said it is cannot produce accreditation certificates, statements of attainment and ChemCert cards for students who have completed a course. “ChemCert is currently unable to accept enrolments into the following courses (both face to face and online). “We apologise for any inconvenience, in the meantime other providers may be found on training.gov as that is a list of approved providers. “ChemCert is currently unable to deliver accredited courses so unfortunately, we are unable to book you in for a course. We can take your details and the location you would like to book in for and if we get up and running again, we will contact you back. “Please contact [email protected] for further enquiries. “ChemCert is currently unable to deliver accredited courses. We are working on a solution with the government regulator but unfortunately don’t have a specific time frame on that yet. “ChemCert training group is unfortunately unable to deliver accredited training at this time. Due to this we are unable to train students nor award competency in accredited units. We sincerely apologise again for the situation you have been placed in and will let you know more information as soon as we can. Please contact [email protected]with your decision. “You have recently completed a course with ChemCert and were awarded competency, however since last Thursday (24th of January, 2019) ChemCert is unable to deliver accredited courses. Due to this, we cannot produce your documentation (Certificate, Statement of attainment and ChemCert card). We have no idea why ChemCert has semingly shutdown, however the national ChemCert program virtually imploded some years ago and in Queensland particularly other organisations and RTOs have stepped into the Ag Chemical training space for many years. As for the claim that ChemCert is the peak industry body for chemical accreditation in Australia that is a fairly dubious claim as there has been no unified chemical training program for many years.